When you’re at LifeWorks Family Chiropractic, we want you to feel comfortable. We’re always focused on you, your needs, and your goals so we’ll do all that we can to help you and support you in your journey towards wellness. 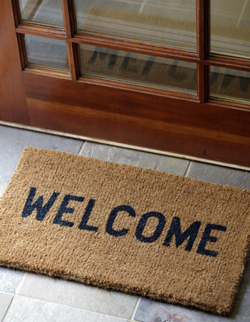 After a warm welcome, we’ll finalize your paperwork, and our friendly staff will make you feel right at home. Consultation: We’ll show you to a room where we will gather all of the information needed to determine if we can help. We’ll discuss the nature of your condition, find out what your expectations are and determine if this is the right place for you. If you’re ready, we’ll move to the next step. Examination: We are very thorough during your examinations, making sure we discover the underlying cause of your problem through chiropractic, orthopedic and neurological testing. We will do a 3-part computerized nerve scan of your central nervous system to detect any disturbances. This will give us your COREScore, a measurement of your neuro-spinal health. If diagnostic radiology is required for your case we have in-office x-rays for your convenience. This visit usually lasts around 45 minutes to 1 hour. For those in extreme discomfort, we’ll adjust you on the same day. In most cases, you’ll be adjusted at your next appointment. Report of Findings: We’ll sit down with you to review our report of findings in which we will explain everything we found, if we can help, what your options are for care, how long it will take and expected costs. If you have any questions, we’d love to answer them and make sure you understand everything before moving forward. Adjustment: If chiropractic care is right for you and you’d like to move forward, now is the time you’ll receive your first chiropractic adjustment. Regular Checkups: Normal visits are brief so you can get back to your busy life. When you arrive, you’ll go to the adjusting area for an assessment with the doctor to know what to focus on. We’ll use the technique that will best help you heal and get you back to your day! Periodic Re-Examinations: One of the most important parts of your care will be periodic examinations. These are comparative exams in which we will re-do all the abnormal tests from your initial examination so that we can track the progress of correcting your underlying health problem. That way we will know that we have not just “patched” the problem but that it is “fixed” once and for all. Whatever your health goals, we’re here to help. If you choose, we’d love to see you for regular chiropractic care. By maintaining your healthiest nervous system, you can live your best life and that’s why we’re here.